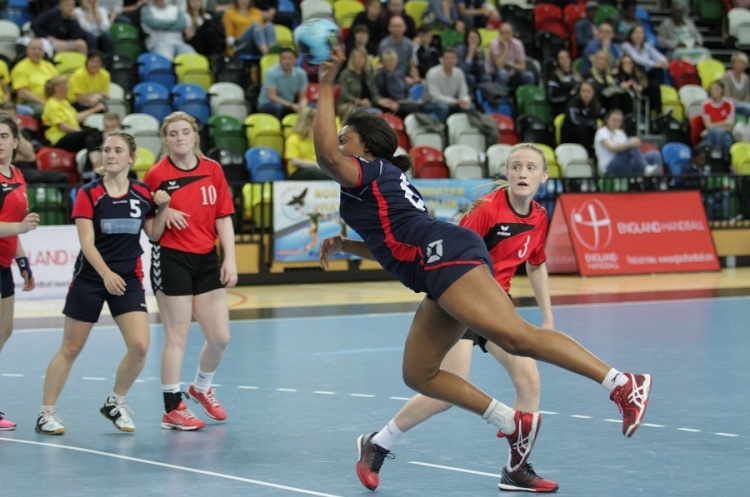 Olympia Cannock girl’s under-18 side stayed unbeaten with a 40-29 win against an England Handball Select Team at the Copper Box Arena. The under-18 League and Cup champions led 16-14 at the break after a close first half. However, they took control of proceedings in the second half to run out comfortable winners. Athalia Ibanga and Olivia Gonsalves were joint top scorers for Cannock with 12 goals apiece. Lucy Ready beat the keeper 10 times for the Select Team. Gonsalves was named ‘Most Valuable Player’ to add to the same award she won in the League finals, and the ‘Player of the Year’ award.